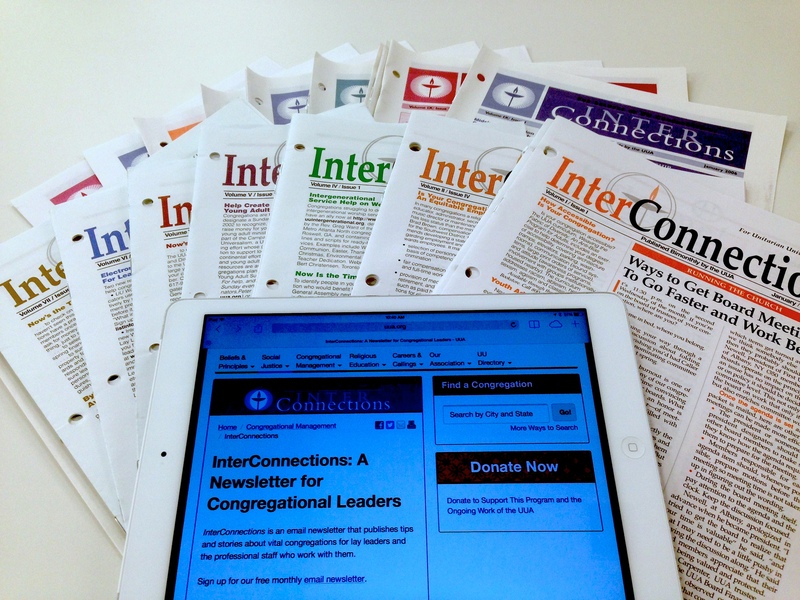 In 17 years of working with InterConnections, which published its last issue in August, I’ve learned a few things about congregations by talking to the people in them. At the top of the list is how we welcome people. Welcoming may be the most powerful thing we do. It’s so powerful that nearly every person I talk with who has been a “come inner” to Unitarian Universalism can actually name the person who welcomed them when they stepped into their first UU building. I know I can. Thank you, Harry Burkholder, for being there that Sunday in Costa Mesa, California. One of the themes of InterConnections has been the power of one person to change a congregation. For good or ill. One person can plant an idea and then gather support for it. One person can encourage someone else. One person in a congregation can also kill an idea or discourage someone else. We need to listen to cranky people, and to love them, but we need not be intimidated by them or let them tear down what the rest of us have built. We need to have enough respect for the rest of the congregation to stand up to individuals who would create conflict. Congregations have changed since InterConnections started in 1998. They’ve taken up small group ministry in a big way. Many give away Sunday collections, spreading their values throughout their larger communities. They’ve learned to do Joys and Sorrows and Water Communion better. 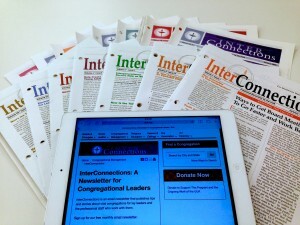 When InterConnections began there were fewer ways for congregational leaders to get information and talk with each other. Now there are email lists, blogs, Facebook laboratories, webinars, and other tools. We hope you will also continue to dig into the InterConnections archive. You’ll find both inspirational and how-to stories about all aspects of congregational life. You truly don’t have to reinvent the wheel. That InterConnections archive is available on UUA.org. If I could recommend one book of all the books that InterConnections has mentioned over the years it would be this one––Articulating Your UU Faith, by the Rev. Barbara Wells and the Rev. 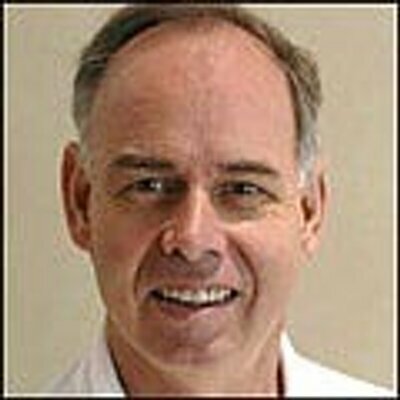 Jaco B. ten Hove. That’s because I believe that one reason we aren’t growing is that many of us still aren’t comfortable explaining our faith. If we were, we’d talk it up more with neighbors, coworkers, and others, and then invite them to church. It matters that we share this faith so that it can change other peoples’ lives as it has changed ours. Don Skinner has faithfully produced InterConnections for 17th years! (Let that sink in. 17 years.) Tandi considers him the first Innovation & Network Specialist. You can still read previous articles in our Archives or search InterConnections by topic or keyword.